Jam-packed with special features (like a poster and timelines! ), this paw-biting series is inspired by the brave, military dogs who helped our troops win World War II. 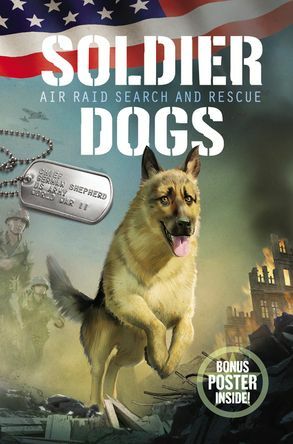 The paw-biting start to a thrilling new adventure series perfect for fans of Max and the I Survived books, inspired by the brave military dogs who helped our troops win World War II. This paper-over-board edition includes a collectible poster and a pull-out map!